When her English teacher announced a pen pal program, seventh grader Caitlin thought the crazy-sounding place of Zimbabwe sounded intriguing. I’d never heard of Zimbabwe. But something about the way the name looked up on the blackboard intrigued me. She chose the country that, though difficult to pronounce, seemed exotic. In her letter Caitlin is friendly and shares all her favorite hobbies and activities. For fun, I like to go shopping at the mall on the weekend. I also like to go roller skating and bowling with my friends. And to eat pizza. What is it like in Zimbabwe? 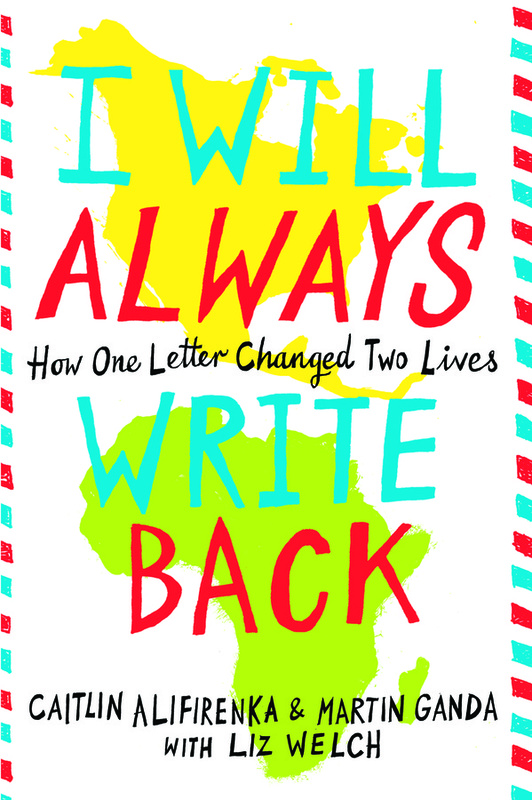 Little did Caitlin know that this seemly reckless decision would not only change her life forever, but that of her pen pal as well. Far off in the Mutare, Zimbabwe, Martin is the smartest student in his tiny school, so he is one of ten students who receive a letter from America. To Martin, America is the land of Coca-Cola and the WWF, World Wrestling Federation. Men had big muscles who wore skullcaps and knee-high boots and made lots of money. Martin was thrilled with his pen pal. He had a friend. In America! In alternating chapters, readers are pulled in to this amazing friendship that deepens over the six years they corresponded. The writers do a wonderful job showing Caitlin’s evolution. At first she is very naive about the cultural differences between her upper middle class life in Pennsylvania and the extreme poverty Martin experiences in Mutare. There are so many things Caitlin takes for granted. From buying a postage stamp to having her picture taken, nearly unobtainable luxuries to Martin. Over time Caitlin grows from a self-centered girl of privilege into someone who does all she can to offer Martin the chance he needs to reach his goal of attending college in America by sending him money so he can remain in school. The correspondence begins in 1997 and ends on August 15, 2003 when the two finally meet for the first time at the Philadelphia airport. Hearing Caitlin say “You Made It!” when we first embraced made me realize this was real. For so many years, I thought i had conjured her. But here she was, as beautiful as i imagined, but much taller. This duel memoir is a story of hope and friendship that makes for a compelling read. A great introduction to social activism. 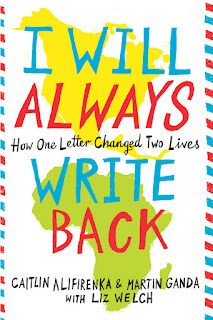 As someone who's been writing to the same penpals since I was in the eighth grade in 1985, this book really resonates with me. I can't wait to read it!